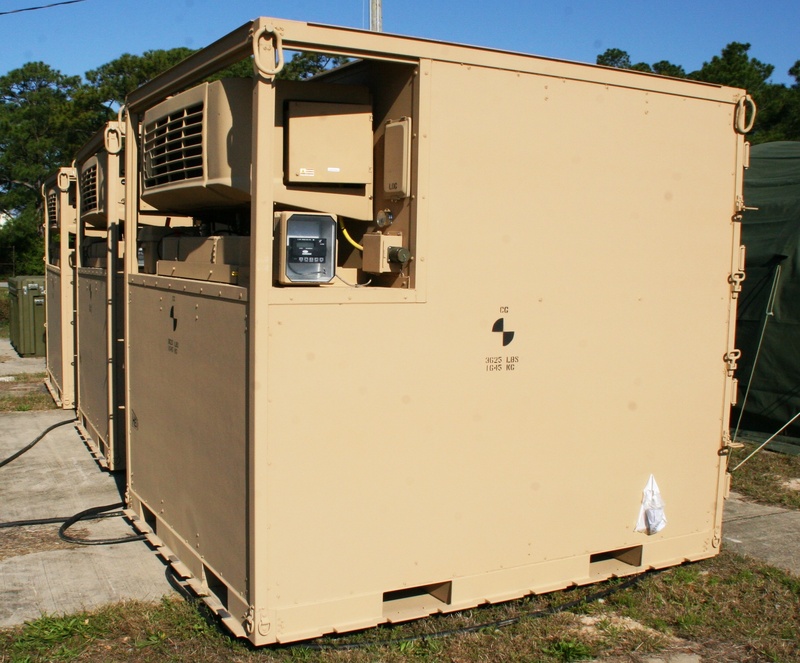 Highland Engineering’s 30 years experience in providing troop support equipment to the US and Foreign Military puts us in a unique position to support NGOs as they provide Humanitarian and Disaster Aid worldwide. 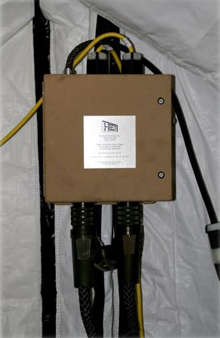 We provided water purification equipment to an international aid organization for the Tsunami relief in 2004, and have units staged around the country with FEMA. 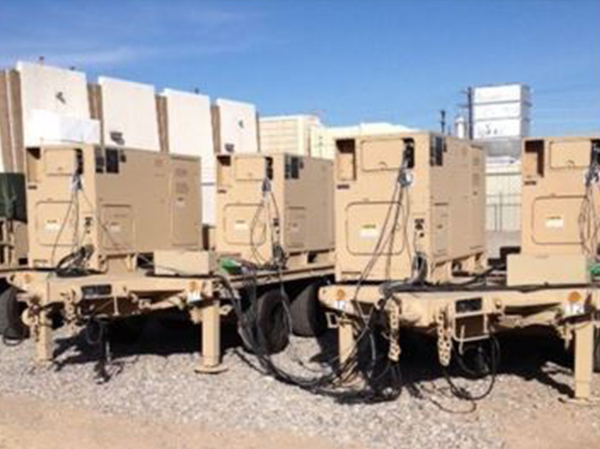 Our equipment has been deployed by the Military and National Guard to respond to Hurricanes, Floods and other Crises around the world. Most of our products are available to NGOs and have no export controls. 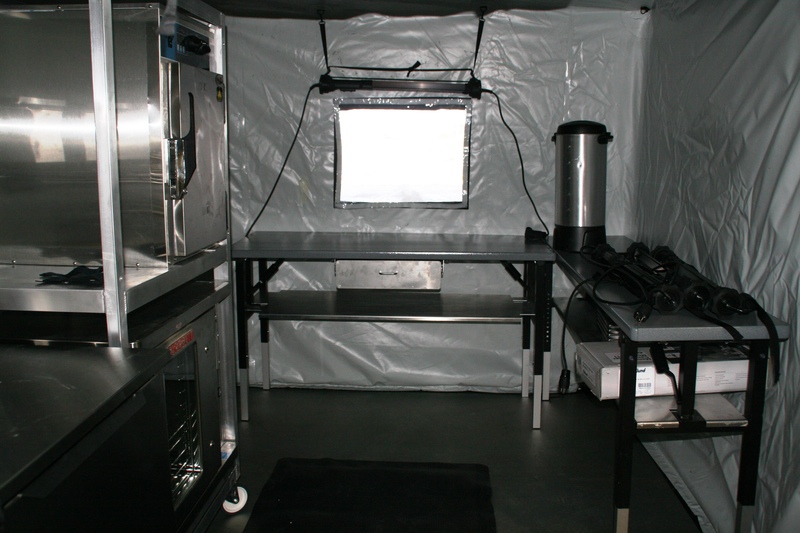 In addition to our standard products, we can provide custom equipment sized for any needs. 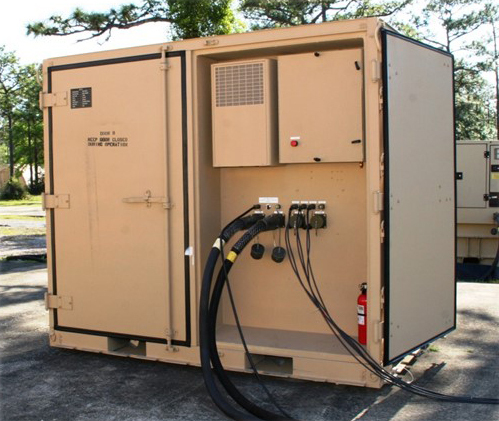 The 1500 ROWPU, which can produce drinking water from any source in the world, can be provided as a stand alone unit, trailer mounted, or enclosed in an ISU container. 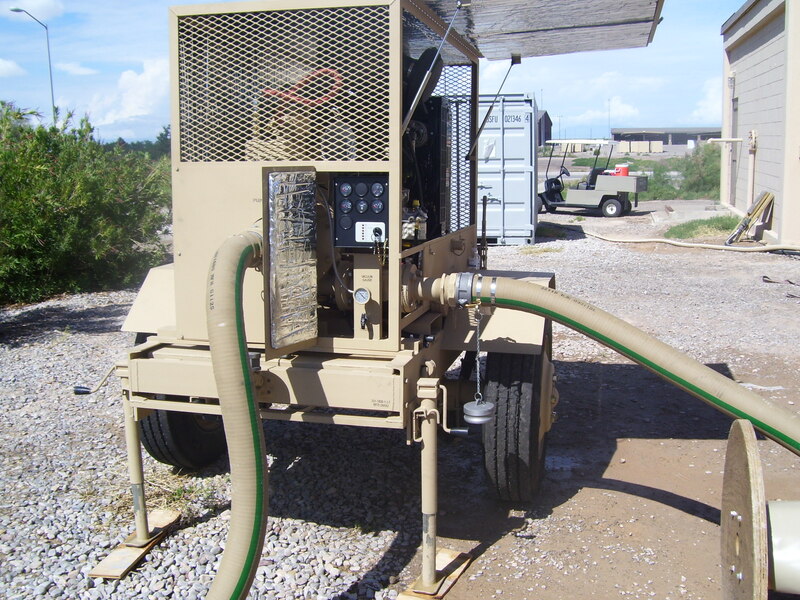 We can also provide water purification for any capacity and environment. 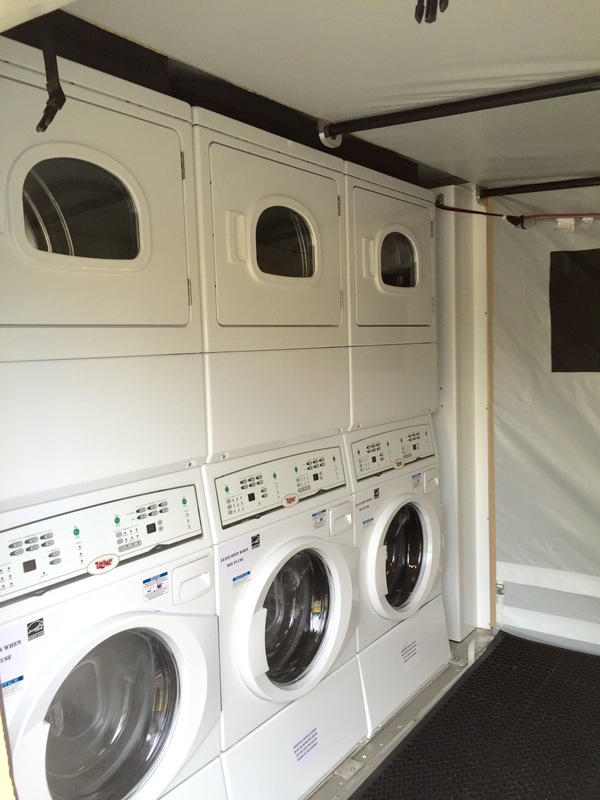 Our EAC and EEAC product line offers self-contained units that are easily transported and set-up. Standard configurations include Showers, Latrines, Sanitary Kitchens and Refrigeration units which are ideal for staff accommodations. HEI’s EACs can be configured to suit any need such as office space, clinics, secured and/or climate control storage. 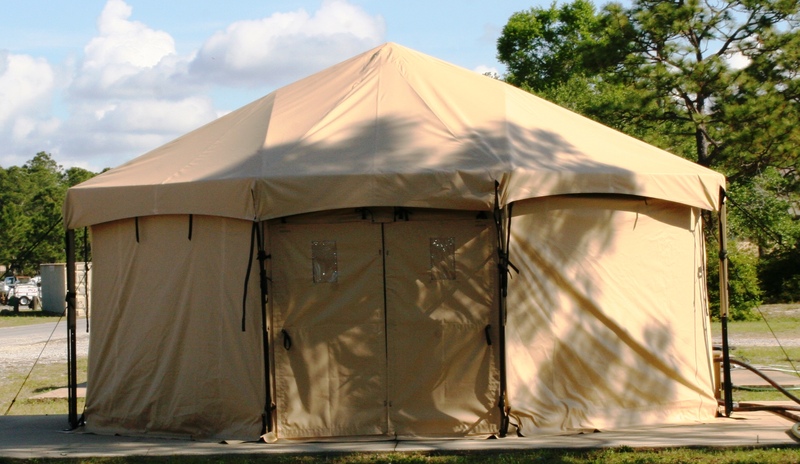 Through our relationship with partners, that share our commitment to customer service, we can supply completed system including Military Grade shelters, Hospital units complete with airlock doors and decontamination units. 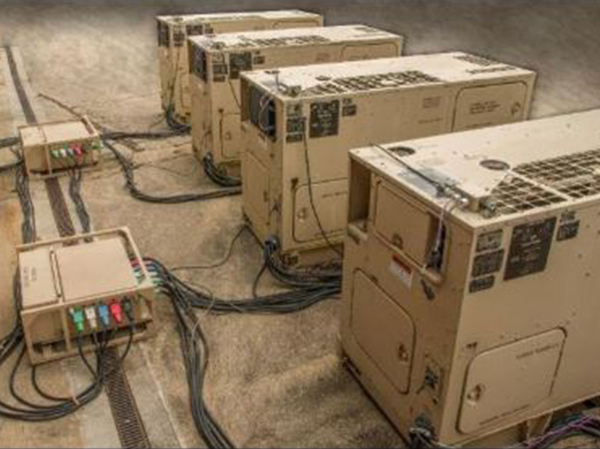 Highland’s experience with the Military has shown us the importance of providing user friendly equipment that is easily deployed, set-up and operated. Contact us with your needs and our engineers will work with you to provide a proposal to solve your problems. Whether its individual components or a complete camp Highland Engineering is your source. The secret of our success is that “We listen to our Customers and solve their problems”. The system interfaces with the aircraft palletized cargo handling system rails and locks - additional restraint is not required. System is certifiable by ATTLA for internal air transport. 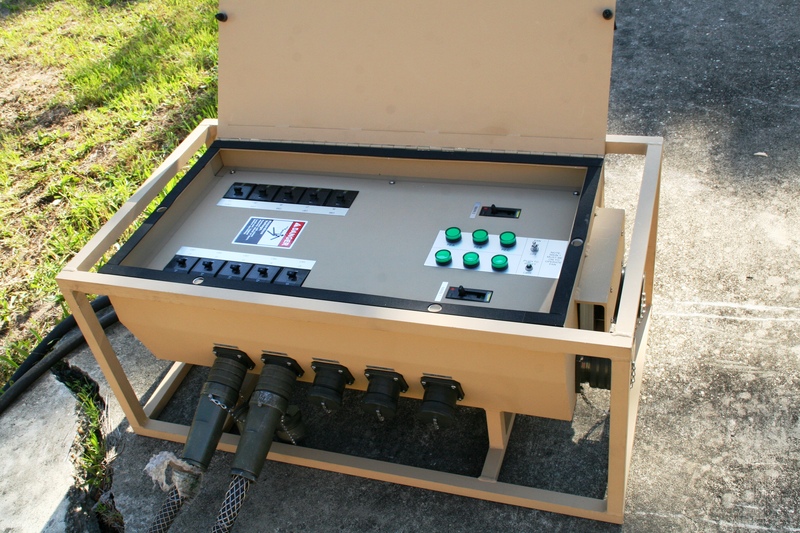 Tray Pack Heater with burner, fuel lines and fuel can. Interior LED Lighting with Blackout – Runs off battery power with time to provide for lighting even while running on diesel power. 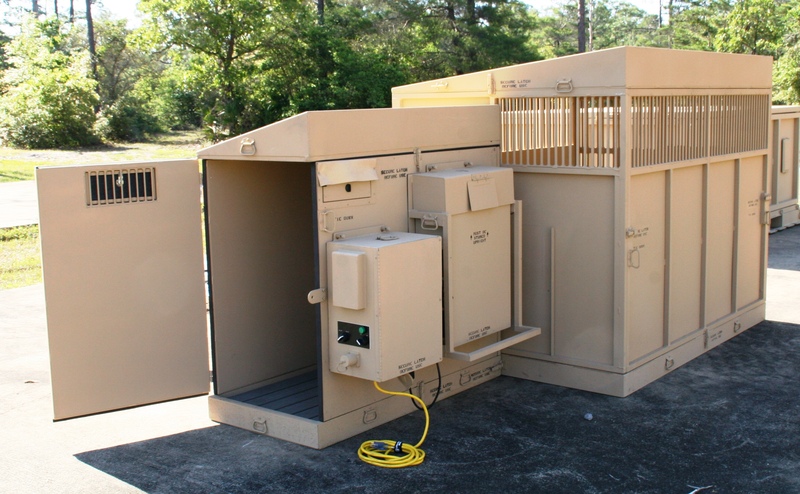 Developed for US Army to provide for climate controlled rest and holding areas for working dogs – Urgent need existed n the AOR. Also a multi-service approved item. Climate Controlled – On Board ECU.